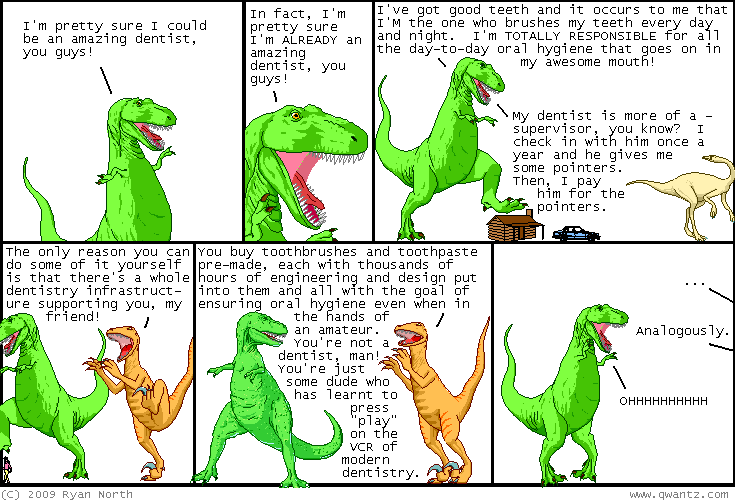 Dinosaur Comics - October 14th, 2009 - awesome fun times! October 14th, 2009: Comics! Long-form comics to enjoy! Streta by Eric Kim! Rice Boy by Evan Dahm! You can read them and enjoy them! One year ago today: guest week 2008: john campbell of pictures for sad children!